The five finalists for the 2017 MoMA PS1 Young Architects Program (YAP) are here. 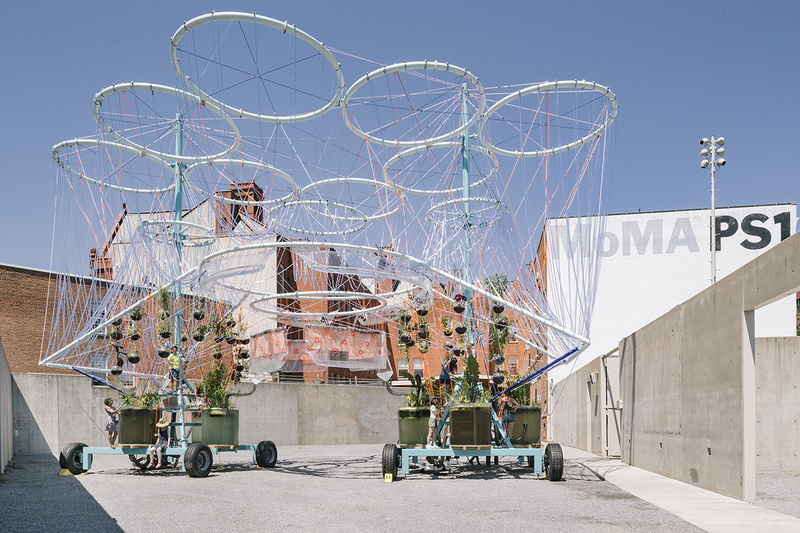 The annual competition provides a stage for some of the best up-and-coming architects in the world; the winning installation is built in the MoMA PS1’s courtyard for its Warm Up music series of performances. “The Young Architects Program is committed to offering emerging architectural talent the opportunity to design and present innovative projects, challenging each year’s winners to develop creative designs for a temporary, outdoor installation that provides shade, seating, and water. The architects must also work within guidelines that address environmental issues, including sustainability and recycling,” according to the MoMA PS1 website. Recent YAP winners include Escobedo Soliz Studio (2016), Andrés Jaque / Office for Political Innovation (2015), The Living / David Benjamin, CODA / Caroline O’Donnell, as well as MOS Architects, SO-IL, WORKac, HWKN, and SHoP. The winner will be announced in February and the installation will be built in time for the Warm Up series that starts in June. Finalists are nominated by prominent journalists and academics, and the selection of five is made by a panel including Glenn D. Lowry, Director of The Museum of Modern Art; Kathy Halbreich, Associate Director at MoMA; Klaus Biesenbach, Director of MoMA PS1; Peter Reed, Senior Deputy Director for Curatorial Affairs; Martino Stierli, Philip Johnson Chief Curator of Architecture & Design at MoMA, Sean Anderson, Associate Curator of Architecture at MoMA; and Jenny Schlenzka, Associate Curator at MoMA PS1.